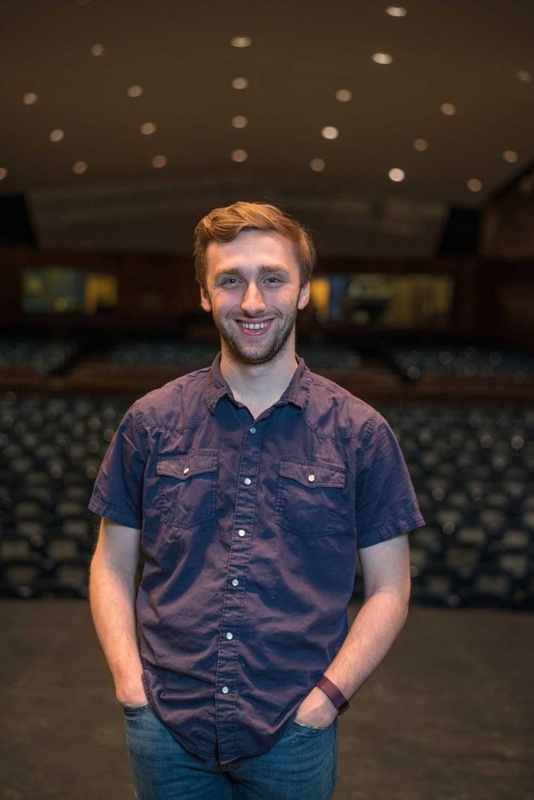 Will Lombard '17 will spend the summer on stage. Whether behind the scenes or at center stage as the leading man, William Lombard ’17 is no stranger to the theatre. Fresh off his acclaimed work as assistant director for the UNH Celebrate 150 production of “Seven Boxes of Books,” a piece directed by Aimee Blessing that brought together the theatre and dance department and Mask and Dagger, UNH’s student-run dramatic society, Lombard is gearing up for graduation and a busy summer of professional performances ahead. “I am very excited to be appearing in three musicals at Hackmatack Playhouse in Berwick, Maine,” Lombard says. “I will be playing Arpad in ‘She Loves Me,’ Hippockets in ‘Buddy: The Buddy Holly Story’ and Matt in ‘The Fantasticks.’ I will start rehearsals in late May, and rehearsals and shows will run until the first week of September,” he explains. And that, for Lombard, is just the beginning. His years at UNH, he says, have been instrumental in shaping that path. When asked if he has a favorite memory, Lombard reminisced about a unique experience from his UNH years: touring with professional children's theatre troupe The Little Red Wagon. With the stage now set for commencement, Lombard is grateful for the individuals, experiences and education that have prepared him for the next act. See where other class of 2017 graduates are headed in our The Places They'll Go series. Interested in acting? Find our more about UNH's theatre and dance department.